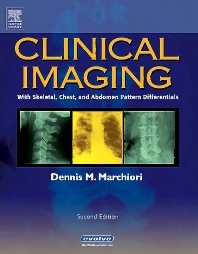 This unique chiropractic text takes a pattern approach to differential diagnosis that is rooted in the use of plain film, MRI, and CT in the imaging of the skeletal system, chest, abdomen, brain, and spinal cord. This pattern approach helps bridge the transition from image to differential diagnosis by helping readers recognize patterns of abnormality and develop a list of viable diagnostic possibilities. Coverage also includes an alphabetical listing of disease entities featuring detailed descriptions in a consistent format that lists background, imaging findings, clinical comments, key concepts, and more.